From the critically-acclaimed author of PRINCE OF FOOLS comes the third volume of the brilliant new epic fantasy series, THE RED QUEEN'S WAR. For Jalan Kendeth getting back out alive and with Loki's Key is all that matters. Loki's creation can open any lock, any door, and it may also be the key to Jal's fortune back in the living world. The Wheel of Osheim is turning ever faster and it will crack the world unless it's stopped. When the end of all things looms, and there's nowhere to run, even the worst coward must find new answers. 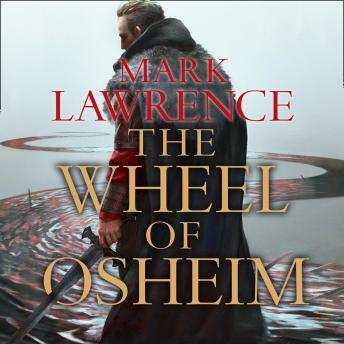 Jal and Snorri face many dangers - from the corpse-hordes of the Dead King to the many mirrors of the Lady Blue; but in the end, fast or slow, the Wheel of Osheim will exert its power. In the end it's win or die.